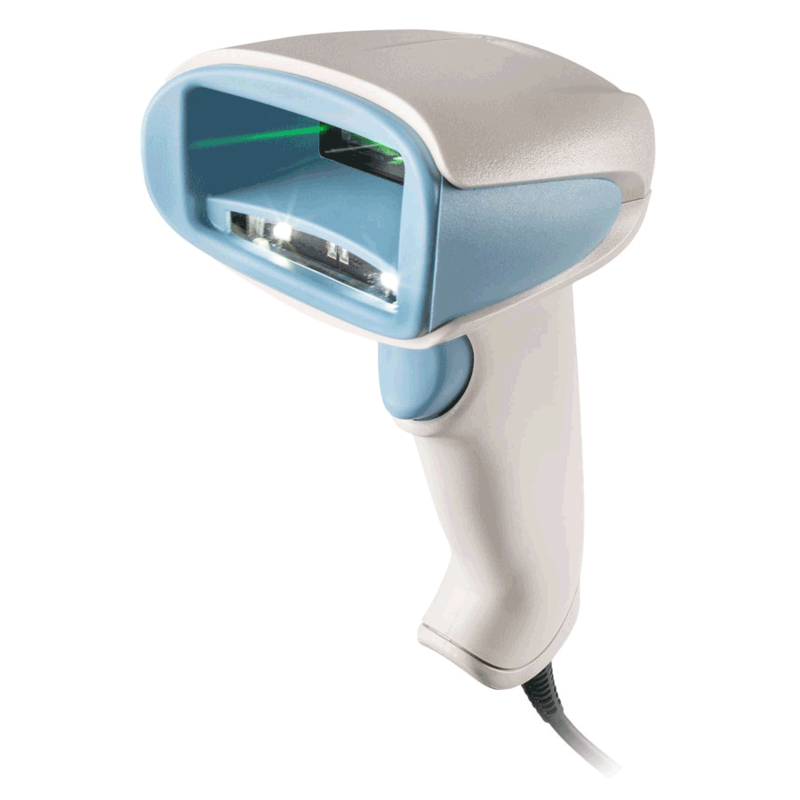 Setting the high watermark for scanning performance, the Enhanced Xenon 1900h & 1902h utilizes Honeywell’s sixth-generation Adaptus™ area-imaging technology for incredibly responsive reading of virtually all 1D, PDF, and 2D bar codes—even challenging high-density, low contrast, translucent or damaged codes. ColorFusion™ technology adds color imaging, allowing the scanner to read color bar codes that are becoming more prevalent in healthcare environments. To enhance patient comfort while maintaining clinician productivity, the Enhanced Xenon 1900h & 1902h can be quickly toggled into Patient Do-Not-Disturb mode. When in this mode, audible feedback is disabled and replaced by additional visual display options that provide positive status indication to the clinician. Additionally, a unique Scan Lamp mode can be activated with the touch of a button. When mounted above a workstation on wheels (WoW) display, the Scan Lamp casts white illumination to the work surface. This allows staff to read labels, verify medication, or enter data—all without having to turn on the room light and disturb resting patients. High Performance Color Area-Imaging: Powered by Adaptus™ and ColorFusion™ technologies, Xenon delivers unrivaled scanning performance. Patient Comfort Features: Quickly toggle into Patient Do-Not-Disturb and Scan Lamp modes to maintain clinician productivity during night shifts, or when resting patients are present.